Last month I was alerted about Melvita's Beauty Oils - flashback - I used the OCM (oil cleansing method) and reaped the benefit of oils for my combination skin. I, to this day, love to use oils but didn't use them as much as before. That's when I said "Laa, pure is best!" I thanked my brain and said yeah it's time to just get back to basics. Scanning over the prices of these 50ml bottles £12 - £19.50, you best bring me the tree for that. I turned to a couple of saved bookmarks that Stephanie was kind enough to share with me, where she got her oils after she did an in-depth post on her collection. "I can get a 100ml or 120ml bottle for a lot less than another brand, why re-think!" These bottles didn't cost me any more than £4 - £5 at the most, why should I pay more because it's coming from a name brand? Insanity. Liquid Black Soap this vegan, fair trade organic shea butter soap I've heard about for a while, women have said the soap has helped their oily, acne prone skin and I must say I agree, I've only been using it less than a month and I find not to use it everyday on my skin as it can begin to get a bit dry, every other day is suitable, the drying doesn't last as after I use apple cider vinegar to tone the skin and then apply a moisturiser and then my chosen oil. It's all good! Papaya Vitamin A. Good for removing dead skin cells, smoother, supple skin when used directly or consumed. It's natural exfoliator. Your skin will also have a nice sheen to it after awhile with regular use/eating. Helps skin discolouration and it's anti-ageing. Carrot Vitamin A & Vitamin E. This could also be made at home, as you mix the carrot with another oil, this particular one is mixed with Sunflower Oil. Stimulates cell growth and repairs damaged skin, protects from free radicals, anti-ageing, gives the skin colour - brings out a glow after time, can be used on dry & oily skin (great if your combination) the oil gives enough moisture without clogging your pores. Grapefruit Vitamin C. It helps to encourage the collagen in our skin which is important for the skins structure. Therefore it helps to prevent the skin from wrinkles and sagging. Vitamin C helps to brighten the skin, say bye bye to dull, swallow skin. Another great thing is, if you suffer from acne or oily skin, this has antibacterial, antiseptic and astringent properties. If you use Grapefruit oil regularly it increases photosensitivity meaning you are more likely to be burned and/or irritated by harsh sunlight but that shouldn't be an issue cos you should be wearing SPF anyway! Apricot Kernel Vitamin E. Great for sensitive skin, it's good for anti-ageing, penetrates the skin easily and leaves the skin feeling soft. Suffer from irritated skin, due to it's anti-inflammatory properties use some of this to soothe it and heal, Apricot Kernel is used to treat itching, scabies, eczema and psoriasis. It doesn't leave the skin feeling grease free but I do say with all oils, go lightly with them and build up. Jojoba Vitamin B & E. One of my favourite ones, this and sweet almond oil helped to clear my skin up after a break-out so it's only right it's back in my life. Reduces the size of pores, firms the skin, cannot clog up your pores and it doesn't leave an oily residue behind as it's another easily absorbed oil for the skin. It's an oil that mixes well with our natural oils so it keeps the sebum neutral and acne is diminished. It has antimicrobial properties so it soothes & heals rashes and sores. Scare of wrinkles? Regular use of Jojoba reduces wrinkles by up to 26%. Fades acne scars & pigmentation & due to it being hypoallergenic it's perfect for those with sensitive skin. Grapeseed Vitamin E, C, D. This is a new one for me but reading up before purchasing I noticed some nice benefits, anti-aging, keeps skin supple and even toned. Skin keeps hydrated and moisturised. Incredibly high in antioxidants, bye wrinkles, hello wrinkle prevention, ta'ta dark spots, anti-inflammatory - bye acne and it's high in oligoelements - hey moisture. Sweet Almond Vitamin E & D. Dry & Oily skin benefit, it's a good emollient as it soothes and softens the skin. Improves your overall complexion and results in a natural glow to the skin. Doesn't block your pores and penetrates deeper. -But if you are allergic to almonds, do not use this. You may of noticed there's a pattern with most these oils, they are aimed at smaller pores, firming, acne prevention, glowing & anti-ageing. So for 2014 it's back to basics. If I can't eat it, why am I putting it on my face? Woop, thanks for the love, love! Papaya is a new one for me; sounds lovely and I can imagine it smelling amazing! So glad you got the oils; let me know how you get on with them! 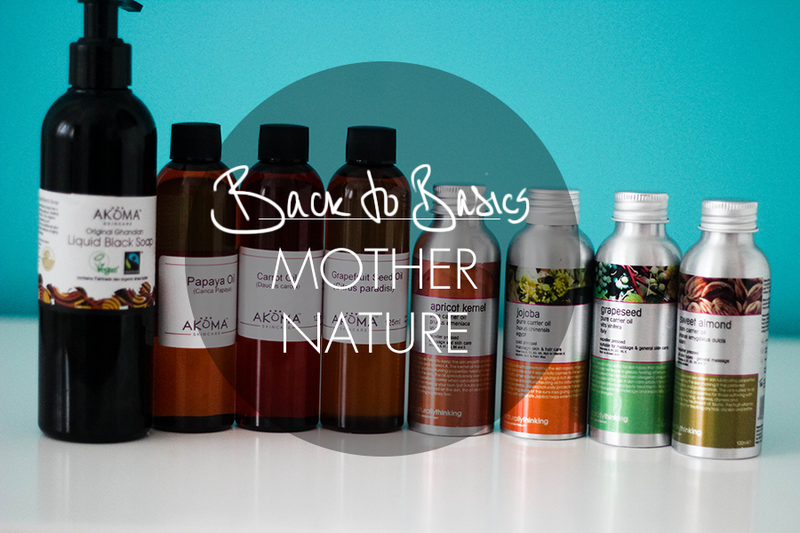 Can i know how are the quality of the carrier oils and naturally thinking service? Would like to place an order with them but bit afraid as i see a lot of bad reviews about them. 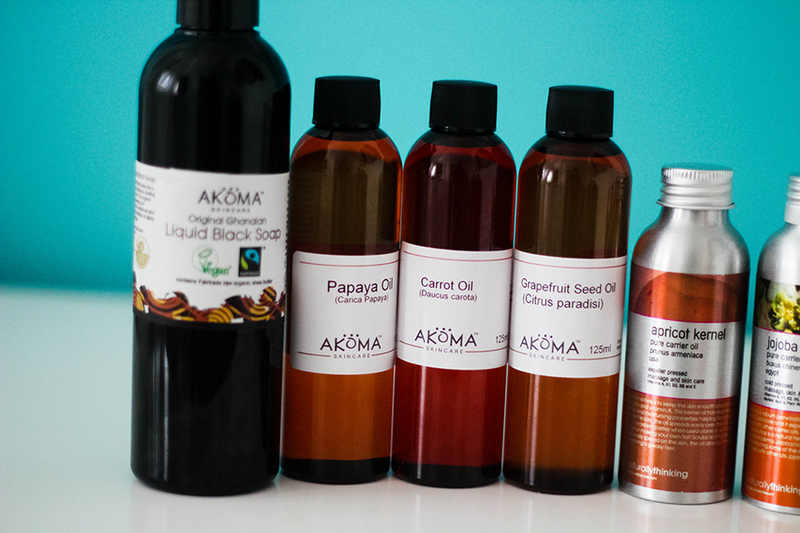 So how do you find the quality of their oils ( apricot, jojoba, grapeseed and sweet almond ) as compared to other places? The only ingredients I've purchased from both places is Black Seed Oil but considering I use it with other oils for my hair - I can't see much of a performance difference. I've stuck with Sheabutter Cottage because it's black owned. I go through oils quickly but the colour and consistency were very similar. For other oils I can't compare as I've not purchased them anywhere else but nothing has changed colour or consistency while I had them. So can i say that their jojoba oil is ok nothing particularly wrong with it? 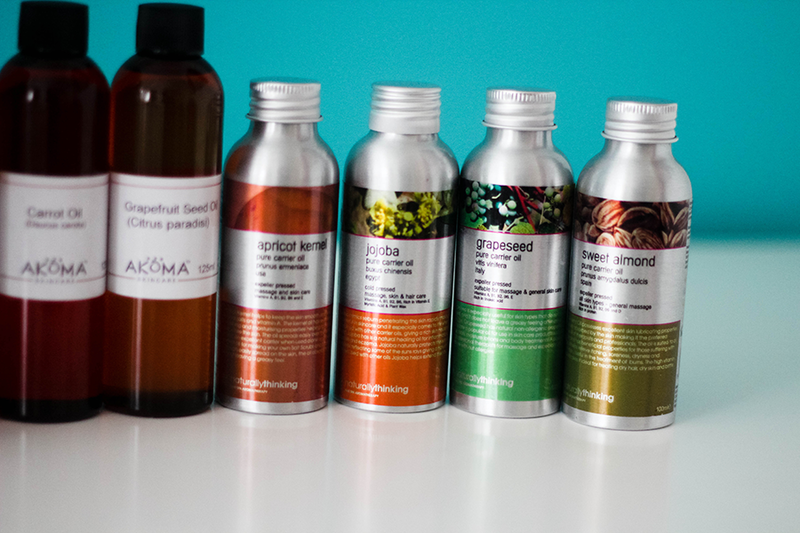 Almost the same as most jojoba oils you can get anywhere?